"Macron is the heavy favourite and continues to attract the big money, with bets of up to £85,000 backing him to go the distance. However, the number of smaller individual bets coming in for Le Pen is a similar profile to that of Donald Trump in the final days prior to the US election." In a flurry of activity that has now seen over £23m traded on Betfair's Exchange overall, and over £2m in the past 48hrs, a huge number of individual bets have been placed on Marine Le Pen. 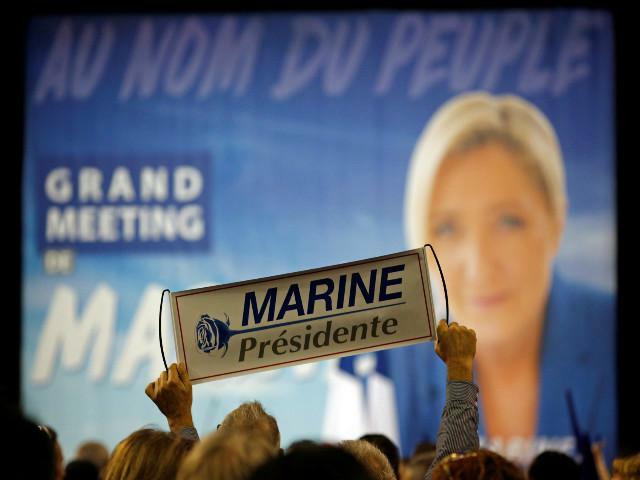 80% of all bets placed have been on the Front National candidate, in a situation that mimics what happened in November of last year during the US Presidential election which saw Donald Trump swoop to power. Emmanuel Macron remains the huge favourite to win on Sunday, and is currently trading at around 1/8, giving him an implied 89% chance of victory. Le Pen's price still sits way out at 8/1, but this late surge could have wider ramifications ahead of the weekend. According to latest figures, Le Pen stands to win 40-45% of the vote, an outcome that trades at 8/5 on the Exchange, at time of writing. Betfair Spokesperson, Naomi Totten, said: "Macron is the heavy favourite and continues to attract the big money, with bets of up to £85,000 backing him to go the distance. However, the number of smaller individual bets coming in for Le Pen is a similar profile to that of Donald Trump in the final days prior to the US election. "This pattern of Exchange betting also mimics the activity we've seen on our Betfair Sportsbook market; if Le Pen can shift the game by Sunday we could easily be facing a seven-figure pay at the current rate of trading."